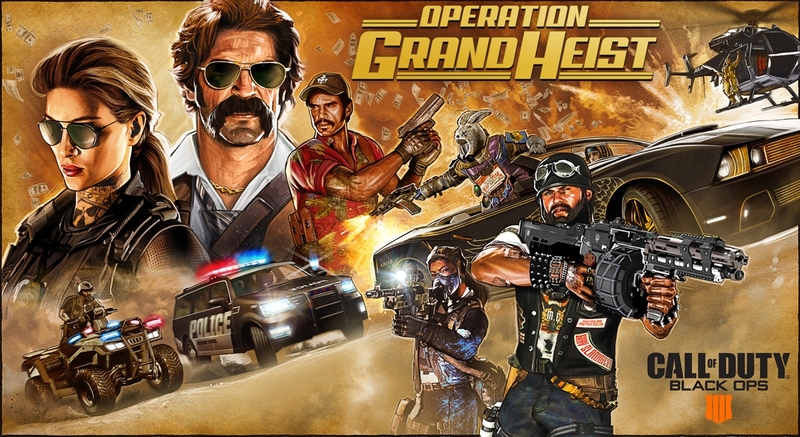 Activision has announced Operation Grand Heist for Call of Duty: Black Ops 4. This new season of content brings some new goodies for the game. Season pass holders now have access to 2 new multiplayer maps and the option to play as a monkey in a spacesuit in its Blackout mode. There is a new ghost town on the map (based on the zombies map Buried from Black Ops 2) for players to explore. You can check out the trailer below to see many of the new additions in action, but this update is bringing back the fan favorite mode One in the Chamber from the original Black Ops in addition to a new specialist in multiplayer: the Outrider. Zombies fans will also have a new gauntlet and a brand new perk.